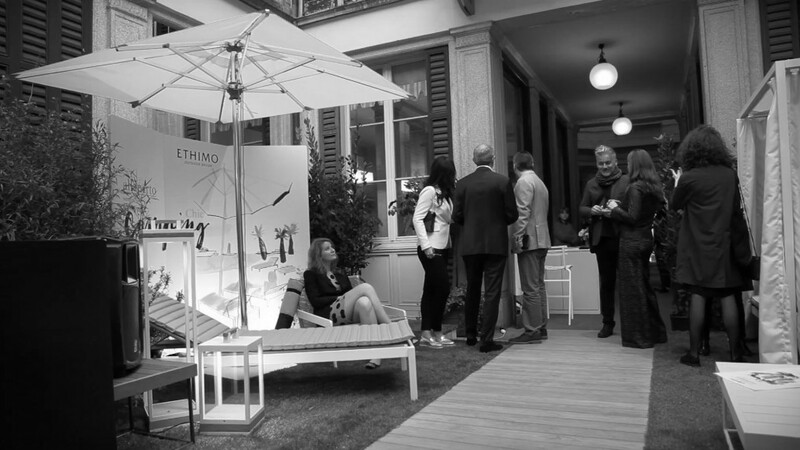 The Italian company Ethimo specialises in high-quality outdoor furnishings and décor, taking its inspiration from the warm, inviting colours of the Mediterranean and the charm of humble, authentic places: its contemporary design collections are made with comfort and practicality in mind and enhance any outdoor area to create sophisticated settings in which to relax and savour the true luxury of free time. The decisions regarding the company’s production are guided by the selection of materials and the attention to detail, to create unique elements that add an elegant, personal touch to private gardens, exclusive country hotels and sophisticated resorts. Passion for nature is the driving force behind this entrepreneurial experience. Ethimo itself is set amidst the heady scents and intense colours of the Moutan Botanic Centre, a parkland covering 15 hectares, which is home to the world’s most important collection of peonies. This unique location set amidst the green hills of northern Lazio and Tuscany gave rise to the first nucleus of the collection. Since 2009, our passion for gardens, nature and the most stunning Mediterranean landscapes has inspired a series of collections that capture 40 years of experience in outdoor living and reflect the most up-to-date trends in design.